My friends, Happy New Year!! Did you have a lovely New year’s celebration? I had a quiet night in, working on this video about the best decision I made in 2016, now uploaded and ready to be seen! Also, I wanted to write more in depth in this blog post about donating my hair and reflect back on this decision to change. 2016 was the year of global woes, and change. Too many of our idols, figureheads from the great David Bowie, Prince, Alan Rickman, Muhammad Ali, HM King RAMA IX of Thailand and Carrie Fisher has sadly passed. Personally, for me, 2016 was a year of ventures, trials, and errors. 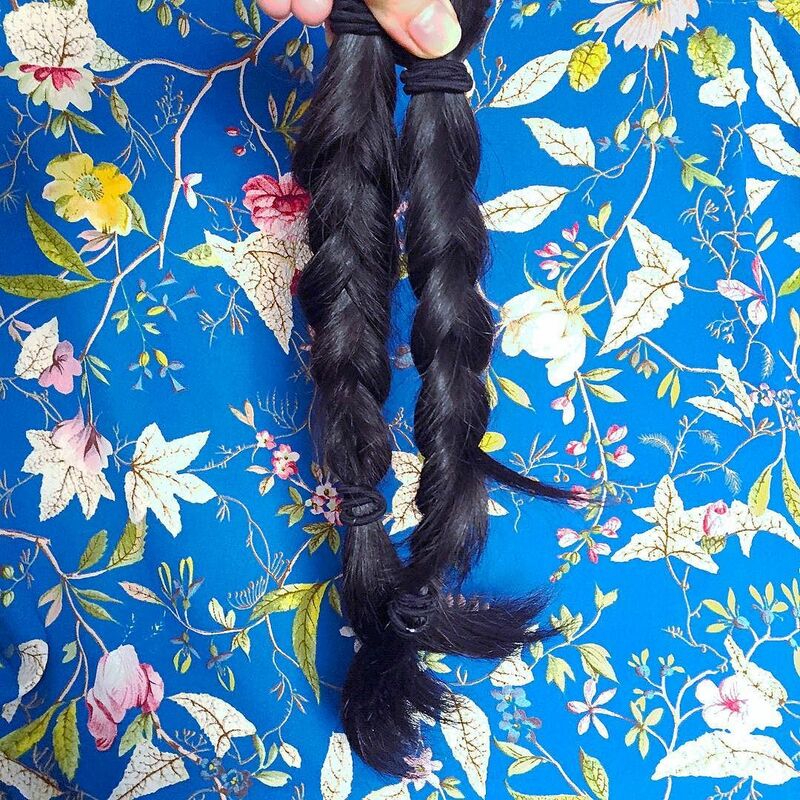 After giving up the studio space, I donated my hair to the Little Princess Trust which I blogged about it back in June. I filmed the chop, but I was admittedly hesitant on showing the video. I filmed the hair chop back then, but I was admittedly hesitant on showing the video. Because 1) Would anyone WANT to see it? 2) I was terrified and so I make weird faces -_- It’s a vulnerable thing to drastically change your look. Even more frightening when it’s uploaded online! I didn’t recognised myself, back then with the short bob; and finally now with the long locks. I know it’s corny but it did give me the push I needed. The confidence to show my face to the world. From working over three years in a gallery to going freelance and working for myself full time in 2015 – I had the long hairstyle over three years, intentionally growing it for my wedding day. Something clicked. This was a fun short video to create, looking back on what I achieved. So many more, I can’t think of right now…. That’s why it’s one of the best things I did in 2016. It taught me so much about myself and what I am capable of; showing who I finally am. Of course, for the new year I intend to keep fit, be healthy, work with dream clients, take regular breaks, go on holiday, maintain a sleep routine, etc, etc, etc. Importantly, I know and trust myself that everything will fall into place without the need to make a failed New Year’s resolution. I know myself better than anyone, I know who I am. No new years’resolutions, just building on what I’ve learned and reapplying it. Thanks always for reading and for watching. Hope you enjoy it. Previous PostWould you like to see my Studio?